Even if you haven't saved a penny, you can still build a healthy freedom fund, says David Bach, author of Smart Women Finish Rich. Here's what you need to know. Teaching your kids about money may be the best no-load, no-sweat investment you can make, says financial adviser David Bach. "Parents always want the best for their kids," says Bach, author of Smart Women Finish Rich. "Some mothers put off saving money for retirement to pay for college costs for their kids. "I say to these mothers, instead of putting away all this money for college, why not start teaching kids about money right now? These kids go to college and then get themselves in credit card debt, then they get a job, and they don't even know how to save money for retirement." Never hire an investment adviser who brags about performance. Ask a rich friend or acquaintance for a referral. Go to your first meeting prepared with copies of your investments paperwork. At the first meeting, you talk; he or she should listen. Make sure the adviser's payment is fee-based, not commission-based. Go to an adviser with a strong support team, such as in the major investment firms. Check out a prospective adviser's background thoroughly. 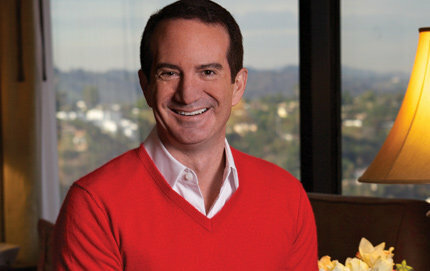 Bach, 43, of San Francisco, was a principal of The Bach Group, which manages $700 million in individual investments. He has written several best-sellers including The Automatic Millionaire and Start Late, Finish Rich. "Right now in this country, we've got someone turning 50 every seven seconds, and about half of these people have less than $25,000 in savings," Bach says. "A study done three years ago said one in two Americans has less than $10,000 in savings." Although many women are spurred to learn about money by major life events such as widowhood, divorce or starting their own businesses, Bach says anyone of any age or income level can accumulate wealth by learning the principles he teaches. "The key is to take action," he says. "This is not just another `feel good' program. It's a feel good, but take action program." He says people need to think of financial planning in three parts, which he calls three "baskets." Those are: The "security" basket, which is making sure you have adequate insurance and a safety net of three to 24 months worth of expenses to cover you in case you lose your job; the "retirement" basket, which involves building a $1 million retirement nest egg; and the "dream" basket, which is a fund to cover pleasures and recreational pursuits to pay for fun in the short term.